Some of the lovely art from the Greerton Village Primary School Art Exhibition hosted by the Papatuanuku House. 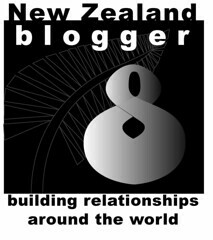 International Blog Action Day. Photographers Wanted! Let’s show the world how much NZ cares about climate change! If you are posting in support of this years BAD event and are in NZ then please also take part in a digital collage series on the BIG DAY. Just email me a low resolution copy of your photo by OCTOBER 12 and a link to your photo blog so we can the get the word out and make a difference! Email your LOW RES image and a link to kowhaiflower@hotmail.com if you’d like to be included in the collage. PS: Spread the word! BAD is GOOD! We’re home again! I hope to be out and about photographing natures wonderful blossoms again soon. In the mean time I have a plentiful supply ready and waiting! I photographed this pretty bloom at Yatton Park just before we left for the hospital. Thanks to everyone who visited while we were away and to those of you who left well wishes! The kowhai flowers are plentiful at this time of year and so to are the Tui! This is my last post for a while, my eldest is having surgery tomorrow so I will be otherwise occupied!